You are currently browsing the tag archive for the ‘metrochange.org’ tag. 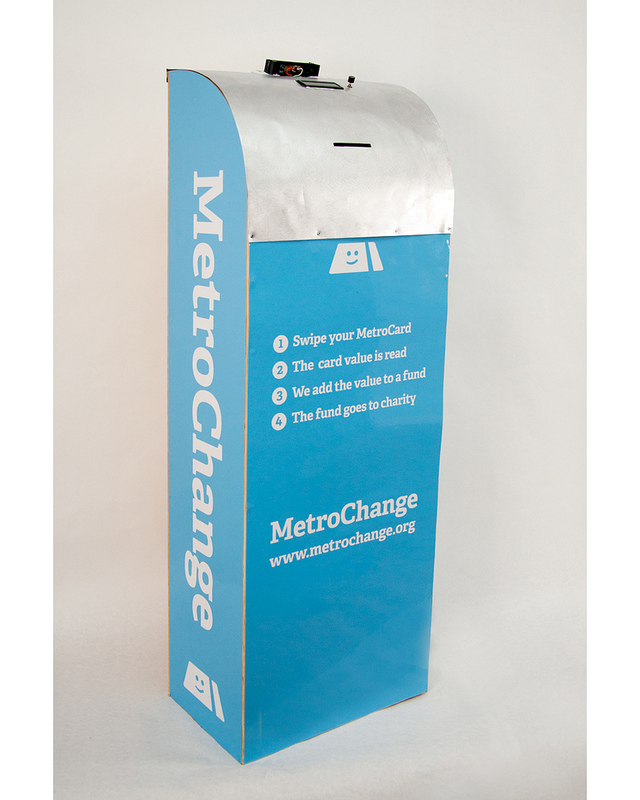 Beauty: Through MetroChange donate the Annoying Left Over Change in Your Metro Card. For those of us who take the metro (subway), we’ve had those days when we had some money left over. It is just an odd amount and never enough to hit zero. It is by design, of course by the vendor and the city who has these infernal machines working. “The flimsy plastic MetroCards are often chucked or ignored when the balance runs below the value of a ride, amounting to more than $52 million in unused fares each year,” Zak Stone, editor for The Daily Good. It is part of city mass transportation life, however. But what if there was a way to make use of that amount to help a good cause. A group of NYU students have come up with a concept. It’s called the “MetroChange”. What it is, is a transactional kiosk which enables the commuter to donate amounts from that metro card. “There is a kiosk with Arduino, ethernet shield, LCD screen, IR transmitter and receiver, and mag-stripe reader”), and that each person donating would be able to choose on the kiosk which charity to donate to. Easy peasy, I do declare. Pretty sure the MTA and the city will be hard nuts to crack, but lets see how things shake out.